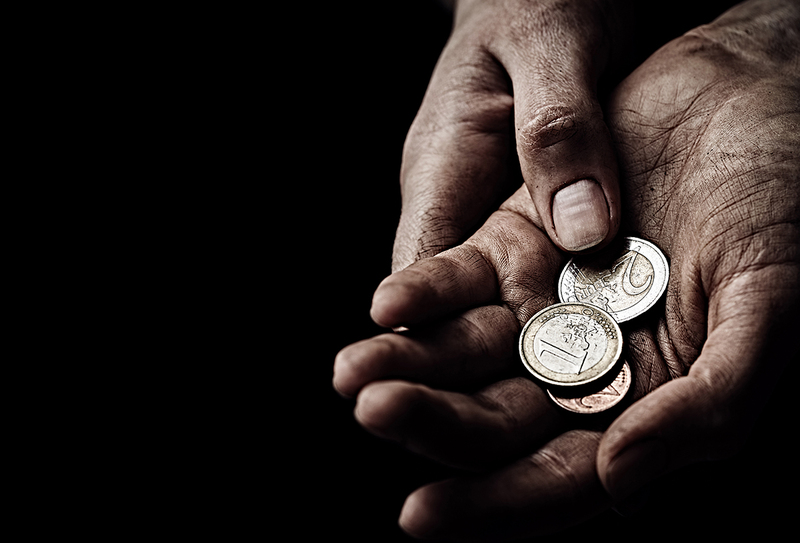 The effective altruism movement grew out of an understanding that sometimes charitable giving doesn’t achieve its desired effects. Even when aid works, effective altruists argue that aid can be given more efficiently through the application of cost-benefit analysis. Effective altruism enjoys widespread support, including among Quillette readers ranging from Sam Harris to Geoffrey Miller. In fact, it’s hard to deny that if we’re inclined to act charitably, we should follow our head as much as our heart. We should subject charity to scrutiny. The problem comes when the view we take of what we’re trying to achieve becomes too myopic. For example, we all agree that if we’re going to relieve a famine, we should find the cheapest way to feed the famished. But what if feeding the hungry creates more hungry people to feed? What if it indirectly contributes to more civil conflict, enriches warlords, or interferes with agricultural markets in ways that drive domestic farmers out of business? Recent studies suggest that food aid to African countries has done all of these things. When foreign aid fails to achieve its goals, we naturally look for more effective delivery mechanisms. For example, in the fight against malaria, some have suggested that we should give away mosquito nets rather than administering pesticides like DDT. Let’s assume they’re right. Might it still be possible that an efficient patchwork of policies can fail to improve the overall welfare of a country, or the world as a whole? Yes, and this is because of the importance of formal political institutions and informal social norms in creating peace and prosperity. Certain kinds of aid to poor countries can have tangible benefits in the short run, but long run costs, such as an expanding population in poor countries that is more likely to suffer the ravages of famine, pestilence, and war. Unless we take a sufficiently long-run view of the effects of alternative institutions, altruism can become pathological. There doesn’t appear to be a clear consensus about whether foreign aid can create the conditions for countries to escape from the Malthusian trap that engulfed the entire world before England’s Industrial Revolution. The norm throughout history was that temporary spikes in access to resources led to population increases, which led to an uptick in starvation, disease, or war. It is only with economic development and technological progress aided by the right institutions that some countries have been able to escape this fate. It is hard to know who is right. But we do know that foreign aid over the last few decades has facilitated massive population growth in Africa, even as European and East Asian birth rates have plummeted. Demographers predict that the population of Africa alone will rise from about 200 million in 1950 to a projected four billion by 2100. The problems this will cause in countries without stable political institutions are staggering. And these problems are likely to bleed over into other countries, especially in the form of mass migration. Although Western countries that welcome millions of low-skilled migrants improve the quality of life for those who arrive, mass migration might threaten the stability and prosperity of these countries by draining them of the social capital on which their institutions depend. For example, if low-skilled migrants exhibit different voting patterns or consume more welfare benefits than the host population, trust can diminish and institutions that promote prosperity can weaken. Moreover, as the economist Garett Jones argues, migrants affect the trajectory of countries to which they migrate for many generations after they arrive. This is not an argument against foreign aid or migration. Both can be good under the right conditions. For example, if aid is given in conjunction with female empowerment and access to contraception, there is good reason to believe women will invest more resources in fewer children and gain bargaining power in the mating market. The point is that altruism can be pathological rather than effective unless we keep our eye on entire institutions rather than focusing on specific goals in isolation. Even then, we should be cautious before we jump to the conclusion that institutions that have worked in the West can easily be transferred to other countries. The failure of American military adventures in the Middle East is an obvious case in point. Given the infirmities of human nature, and the poverty of our current knowledge, effective altruism requires that we give cautiously and think about the effects of our charitable aid on entire institutions, and on future people. Jonathan Anomaly is a faculty fellow at the Institute for Practical Ethics at UCSD, and a founding faculty member of the Philosophy, Politics, and Economics program at USD. This applies to Western social programs and the lower classes in the United States just as it does to foreign aid, maybe even more so. Spot on. There’s a national version, and an international version of this problem. So many people worry about global warming. Sure, that’s a problem. But global demographics is vastly more important. And almost nobody talks about it. That’s not really true at all. Starvation, disease, and war had very little to do with the population increases. Mismanagement of resources, lack of knowledge, and greedy/corrupt nobility/ruling classes were much more to blame. You can pretty much track the increase in human wellness with the increase in population over time. Human beings are a resource not a negative in any way shape or form. Your empirical assertion, according to Gregory Clark, is not correct. See his masterpiece, A Farewell to Alms. If he is right, most of human history was a Malthusian trap. Things changed only recently.. I can guarantee you that Effective Altruism advocates are well aware of the shortcomings of food aid, and I have yet to see a single charity or aid program related to food aid on, e.g, GiveWell’s website. The closest analogue I can think of is GiveDirectly’s long-term ongoing basic income study, which appears to have substantially benefitted local economies, and was selected to take place in regions of Africa with relatively high political stability, precisely to allow for rigorous long-term evaluation. None of this is an argument against efficiency-evaluation, it’s an argument for the right kinds of measurements. So once the, ahem, ‘concerns’ over long-term migration patterns are set aside, I don’t really see why’s the article is being targeted at this particular movement. At the same time that African populations have grown, the average GDP of sub-saharan Africa has roughly tripled over the past 2 decades. Sure, the paths forward aren’t always clear, but the EA movement is actively invested in finding out, and some of it’s methods show great promise. I don’t see anything pathological about that. Thanks Morgan, I didn’t mean to “target” EA. Just wanted to point out that a focus on institutions is important, as some EA advocates have argued. Also wanted to focus on inter-generational effects of aid policies. Many people tend to give myopically, and EA properly understood may be a good antidote. But a lot depends on the details. I’m in advertisement. From my viewpoint, you are whopping the author when you might want to send him a muffin basket. He mentions “effective altruism.” I had no effing clue what that was until reading this. The fact that EA is now in my brain trumps by a mile one academic’s characterization that it isn’t 100% sound all the time (forgive me if I haven’t summarized it exactly right). Truth is, tomorrow I probably won’t remember the details of his characterization (and not because it wasn’t cogent or right, just the nature of the human mind). I will remember the phrase “effective altruism” though, for sure. As Mr Donald Trump–a sensei grandmaster of this technique–would say, that’s the sound of you winning, because the conversation is now about EA. It’s YUGE. Right, institutions matter and we don’t know how to change them without serious blowback. So the essay mostly calls for caution and non-interference. Seems reasonable to me. I don’t think it’s unreasonable to be concerned with long-term demographic trends and the spectre of Malthusian collapse, but a lot of these factors can be argued either way. Political instability might itself be exacerbated by resource scarcity, and given the inverse correlation between wealth and fertility I would suggest that boosting incomes and strengthening economies is one of the more effective ways to both lower birthrates and reduce incentives to flee for greener pastures. If one were so inclined. I don’t think anyone disagrees that institutional reform and family planning are badly needed in the developing world, but how one guides and implements such reform without mass starvation or foreign coercion is, shall we say, still under active research. We are hopefully, as the article David linked to suggests, “crossing the river by feeling the stones”. I suppose that’s a fair point. Thanks, Anomaly? Given the apparent ineffectiveness of most foreign aid to Africa, perhaps another approach should be tried. Instead of simply sending money and food from wealthy/advanced countries, perhaps they should instead send thousands of bright, hard-working, educated, entrepreneurial, reasonably honest and moral adventurers to Africa to set up more transparent and honest government administration; supervise the construction and upkeep (using local labor) of modern infrastructure – roads, hospitals, schools, ports, telecoms, etc. ; start up or take over failing local businesses to employ locals; buy up local farms and set up modern agricultural practice with the assistance of locals; and boost local income further by setting up favorable trade relations with the advanced home countries of these adventurers. Churches might also be set up to see to the spiritual needs of the local population and instruct them on modern ethics. These adventurers might also select the local best and brightest for scholarships to home country universities where they might learn about the latest techniques of science, medicine, law, agriculture, and administration. Amazing that no one has thought of this before. I like your thinking, and your heart is truly in the right place. But it seems to me you presuppose the end you seek. That is, in order to execute the sort of inter-country development partnership you suggest, the developing country needs to already possess well functioning institutions and a people with first-world cultural habits and values like a drive to entrepreneurship; a hunger for and commitment to education; and high trust among the population and toward international partners. But if they have all that, they would be doing great on their own without any help at all. They would be Israel. Well placed irony EO. I live and work in a very undeveloped country, which remains heavily dependent on aid, and has a population growth rate of around 2.6%. Many older locals lament the old colonial/missionary days, when corruption was the exception not the everyday, everywhere, everything. After watching the largely self serving international aid effort over the last seven years here, I think that a development model of subsidized reverse migration, along the lines you describe, actually has real prospects of improving things. Nothing else is working anyway. Not doubting but would be curious what they’re doing that defines them as “self serving” ..ie; too much money going to ‘admin costs’ vs the actual food/medicine, etc… ? I’m always very interested to hear the stories of those on the ground. Three key points in the other direction: i) lower mortality and better health reduces fertility both directly and via greater wealth, ii) foreign aid has included family planning and fertility rates in Africa are crashing in most places, iii) the longer Africa delays going through the full demographic transition, the greater will be its population once it finally stabilises. If you wanted to save lives without thereby raising population, you could do a combination of health aid and family planning. More broadly though, I agree i) we need to consider longer term effects charitable giving has rather than just the immediate ones, ii) policy change is among the most promising ways to end poverty. This is totally in concert with the ideas of effective altruism. Fascinating to watch the bike-shedding effect here. This is a fascinating article, but it’s the nuclear reactor design: 5 comments so far. But a piece on peener crimes or genetics and IQ? KABOOOOOOOOM! BIKE SHED! Nobody doesn’t have an opinion, or 10. Be patient. This has potential. He discusses Africa. Africa relates to race issues. Race issues will get you your “bike shed”. This could become a 100-comment dumpster fire yet. All it takes is one person to say “Africans can’t _____” and we will be off to the races … so to speak. …indications of Parkinson’s do you think? Fewer comments is a problem? I love these articles where actual problems and solutions are discussed. And the quality to comment ratio is usually quite high. Contrast that with the comments on the political articles. After you’ve sorted out the trolls and the political cultists virtue-signaling to each other, there are roughly the same number of comments worth reading. A family acquaintance was telling me the same basic message around 1980. He had done environmental impact studies in East Africa and said that U.S. aid to its inhabitants, the way the West does it (or did it then), was exacerbating some serious existing problems and creating others. His reasoning was along the lines of Mr. Anomaly’s piece. Ways of life for Africans in marginal areas such as the Sahel have been massively disrupted by food aid and left those people more vulnerable to lethal drought and pestilence than before. Those threats are anticipated as an episodic “norm” by people there, even if they would wish very much to be free of such suffering. Cultural and psychological adaptations can be harmed even as food is delivered. A lot of international aid is surely political maneuvering by proxy, including a nod to “stability”, or virtue signaling. To effectively help people who are disabled in managing their resources, simple works best. My favorite example is the portable ovens that make more efficient use of charcoal. These have been distributed by some NGOs. Disappearing forests are a huge problem for developing countries. Most of us do not realize that a substantial part of deforestation or degradation is for charcoal harvesting and that this applies to biodiverse tropical dry forests as well as evergreen forests. To my mind the genius of basic income initiatives is that they should strengthen local economies through recipients spending on what they know they need- which is often food, but food bought from nearby farmers- rather than being a glut of 1st-world hand-me-downs that destroy markets or aren’t matched to real demand. I think this is going to become the ‘default’ approach for international aid, wherever it’s practical, in decades to come. Another area where I would substantially fault western aid efforts has been green-lobby opposition to the use of chemical fertilisers, and more recently GM crops. This has not done poor farmers any favours, and probably increased pressure on wild habitats as more land has been cultivated to cope with higher populations. But the “glut of 1st-world hand-me-downs” is repeated, with even greater dependency, in your appeal to promote GM crops and chemical fertilizers. All developing nations have “sustainable” societies and populations. It is a matter of how much suffering they experience by lack or dysfunction. Whatever means of assistance we provide should do the least damage to native systems they already depend on. Arguably, the pervasive NGO philosophy that “we know best” has already done them much harm. @augustine: I’m certainly familiar with arguments that large multinationals like Monsanto can engage in monopolistic seed-bank practices that reduce farmers’ profits and ignore the nuances of local culture, but the brute fact of the matter is that a global population of 10-15 billion people cannot realistically be fed without GM technologies and chemical fertilisers. If farmers in developing nations do not have access to those tools, they will ultimately be unable to compete on global markets or feed their own people. The answer to this could be agricultural research spearheaded by NGOs or public universities, such as the Sasakawa Africa Foundation, but general green-lobby scaremongering about GM technologies and food safety has made this politically difficult- and if public funding isn’t allowed to solve the problem, only the capitalists will touch it. The green lobby has effectively manufactured the problem they have been busily complaining about. African countries have had independence for roughly two generations now. Africa should be, as a continent, wholly self-sustaining and self- dependant. All the tools where put in place. And if we focus on a merit based system for immigration to the U.S., people growing up in these nations will work harder in school to the point where they won’t need to come to the U.S. for opportunity’s because they’ll be able to apply their new found knowledge in their own country. Sounds like winner winner chicken dinner to me. Substitute ”welfare” for and you have many of the same issues in Western countries as you do in Africa. Effective altruist do consider these things, if you have a suggestion to effect political/institutional change in other countries please tell us. Also why target food aide when this is not one of the recommended effect charities by EA groups? I spent considerable effort trying to find even a slight interest in my suggestions for how to effect political/institutional change within EA and I was met with extreme hostility, contempt, ridicule for even suggesting that it was possible and/or that I might have valuable new ideas…your claim and that of several other EA defenders here is simply not true. It was my experience that the vast majority of people in EA are convinced that their Bachelors in Computer Science taught them literally the entire breadth of human knowledge and they even now know all possible new ideas as well. It was suggested to me that they with their Bachelors in Computer Programming would review my work that includes economics, political science, evolutionary biology, parasitology, game theory and more to see if I was good enough to write without compensation for their blog. I was advised that their time was of such incredible value that unless I had a PhD they could not be bothered to read anything I wrote. One who did read it then pretended to have enough knowledge to state that there was “nothing new there” based on his complete lack of knowledge of every single discipline engaged by my work. I have become thoroughly convinced that the EA Movement is in fact extremely ineffective, a collection of people whose egos dwarf and obliterate any desire or capability to help anyone else. I usually despise the idea that one has to learn how to help themselves before helping others, but EA is is a good example of when it is true. Okay Carmi, I’ve read the article you linked to. So, given your belief that governments and corporations are analogous to parasitic infections, what specific program in what specific region/s with what specific beneficial outcomes would you fund, and how would you reliably evaluate long-term effectiveness? How does this theory particularly arm and equip you to solve the world’s problems? I could be flippant and say that, when the bad times come, if you have a large family at least you will have something to eat, but even I, coarse as I am, find that repugnant. It is a sad fact that in dire circumstances cannibalism does come into play – think of the custom of the sea. Shipwrecked mariners ate the weaker members among the survivors – you were fortunate if you had a nice chubby tender cabin boy among your number. Starving inmates of concentration camps said the brains of the dead were first to be eaten because they are easily digested. This is very distasteful. Sorry, that’s not a pun. But it has and will happen. I guess the catastrophe will occur this century when the exploded population collides with the imminent ice age. I shall be dead, thank God. See Steven Pinker’s Enlightenment Now or find Bjorn Lomberg’s latest regarding actual improvements in the world, including Africa. I looked up the ‘Neglected Tropical Diseases’ in WIKI – terrible news. Then I looked up each of the 20 individually – different story – prevalence of all but one down 75-90% in past 20 years. The aid people do not need is the one that is the sugar coating on religious conversion. Yes there are some rather difficult problems in the world. One of the biggest is the correlation between cousin marriages and corruption in civil government (look it up on Google Scholar). Family based subethnic fractionation of societies is very persistent and a big problem in most problematic cultures. This article touched on a number of PA vs. EA facets that need to be discussed, more widely & regularly. I believe someone else made reference to it, but the issues surrounding both PA/EA are not unique to third world/developing nations. A rather pernicious form of PA can be found in the U.S., i.e., transfer payments. Ironically, to achieve this goal, it would require, more precisely, the cessation of certain interventions to achieve this goal. Sadly, such discussion seem to attract unwarranted accusations, which are by now as trite as they are reductive. In any regard, the problem is seems to me is one of incentives. Discussion of PA/EA never, or rarely, take into account (with any serious depth) the unreasonable effectiveness of properly designed incentive structures. People, all people, instinctively follow the rewards. Earnest discussions on the necessity of improved institutions, economic development, and technological progress are understandable, but let’s at least attempt to channel a little Bayesian common sense while we’re in the process of waxing and waning high ideals of enlightened self-interest. This is not a problem you can throw money at. In fact, this white elephant is exactly the type of problem you shouldn’t throw money at. Just ask yourself the rhetorical question: What good is having the opportunity for X, without having the ability to do X? The moral answer (I believe) can only be found with incentive structures. Anyway, nicely written article. I enjoyed reading it. I particularly liked the framing of American intervention in the Middle East as altruism borne out of good intentions. Haha. While we are being smart here, the Chinese are building infrastructure in Africa and buying arable land. The Chinese know how to deal with 3rd world problems, they grew up in a 3rd world country and turned it into an industrial giant. YouTube, of course, is slanted and unreliable as an information source but just for the hell of it, why not see what it is like to make projects advance in Africa. Nobody is talking about African peoples or their way of life, their culture. It is a no-no, unless you are Chinese. The link was a cut from the film ‘The Empire of Dust’. I was just explaining to a starving child how given him some food was a bad example for his parents. He just didn’t understand. A second reason I guess why he was better off dead.